Play a superb Yamaha GB1K Grand Piano. Relax to the sounds of the world's greatest music. Let Disklavier E3 help you create your own music. Outstanding pianos and sophisticated musical entertainment systems in one! 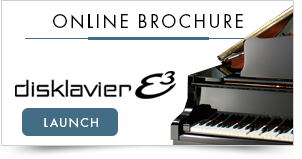 An intelligent alternative for those who want an unprecedented range of playback and recording features in an easy-to-use E3 Disklavier system. The original Yamaha Disklavier, which made its debut back in 1986, introduced the world to the wonder of traditional pianos equipped with integrated digital electronics for recording, auto playback and more. Since that time, these computer-age 'player' pianos have evolved into instruments of truly remarkable capabilities. They can reproduce not only 'live' acoustic piano concerts, but ensemble music with instrumental and vocal tracks as well. They allow you to record and play back your own performance, create complex multi-track arrangements, and connect to the world of musical opportunities offered by MIDI devices, personal computers and the Internet. 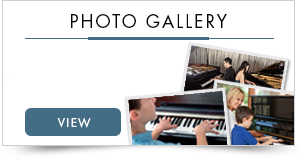 Their unique combination of acoustic excellence and digital versatility has made them an increasingly popular choice of pianists, educators and music-lovers worldwide. Today, Yamaha is proud to introduce the latest evolution of the Disklavier line, integrating a host of new acoustic advances and cutting-edge digital developments. Most models now play audio/MIDI CDs. Revolutionary new PianoSmart™ features make it possible to synchronize piano recording and playback with standard audio CDs. And for those who always wanted to play the piano, new SmartKey™ technology makes it easy, guiding you through songs note by note, while adding professional embellishment. * Some features not applicable to certain models. The CD drive lets you enjoy an extended range of Disklavier software, including discs with audio vocal and instrumental tracks, or play your audio CDs through the Disklavier sound system. A new breakthrough in Disklavier technology, the PianoSmart system lets you enjoy Disklavier playback perfectly matched with popular music CDs. Equipped with a CD drive, the DGB1KE3 allows you to enjoy the entire range of Yamaha and third-party software, including CD software complete with high-fidelity vocal and instrumental audio tracks. It also features PianoSmart™, a new technology that lets you record your own piano tracks while listening to your favorite audio CDs, and then play them back in perfect harmony. PianoSmart™ even allows you to synchronize recording and playback with video cameras and multi-track audio recording equipment. Equipped with 128 MB of internal memory, the Disklavier control unit lets you store your favorite songs for easy-access pre-programmed entertainment. An integrated digital tone generator can recreate nearly 700 instrumental voices, through headphones or external speakers, for piano/MIDI ensemble performance. PC, MIDI and AUX connections offer easy access to a world of external enhancements, from audio equipment and MIDI devices to personal computers and the Internet. Supported by a vast library of Yamaha PianoSoft™ software, the Disklavier can reproduce live concerts by many of the world's top pianists, complete with lifelike key and pedal movement. It's like having world-class artists performing just for you. It can also deliver high-fidelity vocal and instrumental tracks, so you can enjoy jazz combos, popular groups, chamber ensembles and more. New teaching technology now even allows you to synchronize recording and playback with your own standard audio CDs or video camera. From the latest tunes to the most cherished classics, Internet Direct Connection (IDC) puts all the songs you want to listen to right at your fingertips. IDC allows you to connect your Disklavier directly to the Internet, giving you access to special Disklavier network services. You can select DisklavierRadio to stream broadcasts, or Network Update to receive product updates. With IDC and the E3, you'll always be just a stream or a download away from your very own command performance! With IDC, the Disklavier E3 functions as a radio by streaming songs. 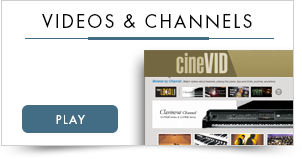 DisklavierRadio subscribers can choose from among more than 10 music channels. And piano selections played on the Disklavier truly resonate when instrumental accompaniment is streamed through Disklavier speakers. * Note: A monthly fee is required for DisklavierRadio streaming services. Every E3 Disklavier comes with hours of music right from the factory featuring selections from PianoSoft Solo, PianoSoft Plus, and even PianoSoft Plus Audio! This means that the moment your E3 is delivered and powered-up, you'll be listening to music right away. 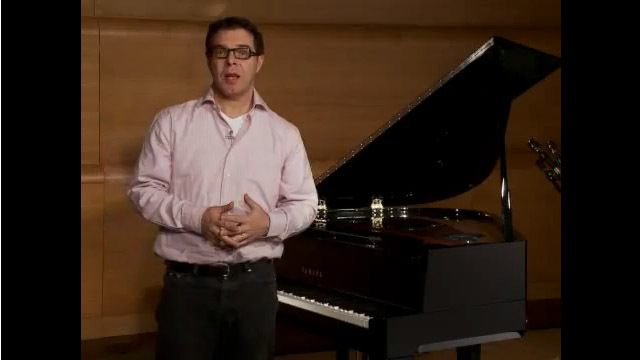 You can purchase and download titles from the PianoSoft catalog, or view the entire catalog at www.yamahamusicsoft.com. The original Disklavier music software, Yamaha PianoSoft offers prerecorded piano concerts by many of the greatest pianists of our times, along with many more performances by top studio pianists. 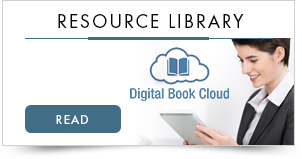 The PianoSoft library includes literally hundreds of titles in genres from classical to jazz, pop and country music, along with special seasonal collections, regional anthologies, children's songs, and compilations made especially for instrumental or vocal accompaniment. Whatever your taste in music, PianoSoft can bring it to you at the touch of a button, with 'live' piano music in the comfort of your own home! The 'Plus' in Yamaha PianoSoft-Plus software is the addition of digital instrumental ensemble tracks, made possible by the Disklavier's internal XG MIDI tone generator. With these disks, you can enjoy Disklavier acoustic piano performance augmented by the sound of strings, brass, woodwind, percussion and more. Sit back to the beautiful sounds of chamber music, the passion and drive of a jazz quartet, the upbeat tempos of a popular group, or a stirring orchestral arrangement. It's all right there, with the ease of a USB memory stick. Just slip it into your Disklavier, press PLAY and enjoy your command performance. The E3 Series' CD-playing capabilities expand your musical entertainment options even further. PianoSoft-Plus Audio and other audio/MIDI CD software complements Disklavier performance with high-fidelity vocal and instrumental audio tracks. Experience the sound of your favorite groups — complete with vocalists and instrumental soloists — enhanced by the live-concert presence of Disklavier acoustic piano playback. With a variety of titles already available*, and more in development, your Disklavier can entertain you and your guests better than ever — all with the ease and convenience of conventional audio CDs. * Availability may be limited in some countries. A truly revolutionary breakthrough in Disklavier technology, the PianoSmart system opens up a world of additional ways to enjoy your digital/acoustic piano. PianoSmart intelligently synchronizes Disklavier recording and playback with the operation of the built-in CD player. What this means in real terms is that you can now record your own piano or electronic instrumental tracks while listening to your favorite CDs, and play them back in perfect combination with the original recordings. 'Sit in' with the hottest new groups, classic combos or a full symphony orchestra, then sit back, press a couple of buttons, and listen to yourself performing 'live' with the pros! Through the use of SMPTE Time Code, PianoSmart can also synchronize recording and playback with external devices such as multi-track recording equipment and video cameras. 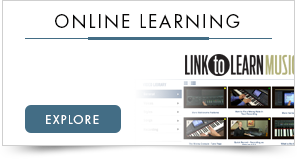 These features enable pianists, families and educators to create audio visual records of any performance, complete with 'live' Disklavier acoustic piano playback, stereo audio instrumentals and vocals, and full-motion video — all as one integrated presentation. They also allow creative musicians to collaborate in ways seldom dreamed of before. In combination with the many other Disklavier capabilities, PianoSmart extends digital/acoustic creativity into a whole new universe of options. Incorporating their own stereo (20W) audio system with dual two-way speakers, E3 Series pianos let you enjoy the sound of ensemble playback along with the acoustic piano itself. There's no complex setup; simply select the music you want to hear, press PLAY and sit back to enjoy the show. You can also use your Disklavier sound system to play your audio CDs. And, with the Disklavier's external connections, you can easily tie it into your home audio system, letting you route the sound through remote speakers to bring the concert to other rooms-even outdoors for parties on the patio. Along with an unprecedented range of internal capabilities, Disklavier pianos also provide easy plug-and-play access to a world of external equipment. MIDI IN/OUT jacks let you control devices like synthesizers and sequencers from the Disklavier piano keyboard, add the capabilities of other MIDI devices to your Disklavier ensemble, or play the Disklavier's piano and instrumental voices from external equipment. Omni-Out connections let you amplify the Disklavier's sound via external audio equipment. The Omni-In jack also allows you to listen and play along with audio recordings through external speakers. USB lets you connect the Disklavier directly to your personal computer, for a virtually unlimited range of additional possibilities. Play the Disklavier from your PC keyboard or applications. Download music files for playback on your Disklavier. Only for models supplied with the monitor speakers. Reverse/forward w/sound (MIDI songs), reverse/forward w/o sound (audio songs), directly by time or measure.